It's Friday the 13th, but no bad luck is going to get me down! It's been a great week here! Hope you had a wonderful week and have a wonderful weekend! I'm not a runner, but I do enjoy a nice walk and some nice shoes. Russ got a pair of the shoes on the right, and they are so comfy, so we headed to the Nike Factory store and lucked out finding the pair on the left in my size at an awesome discount (let's say I didn't pay even half of the $120 retail price!). Can't wait to break them out with our nice weather! 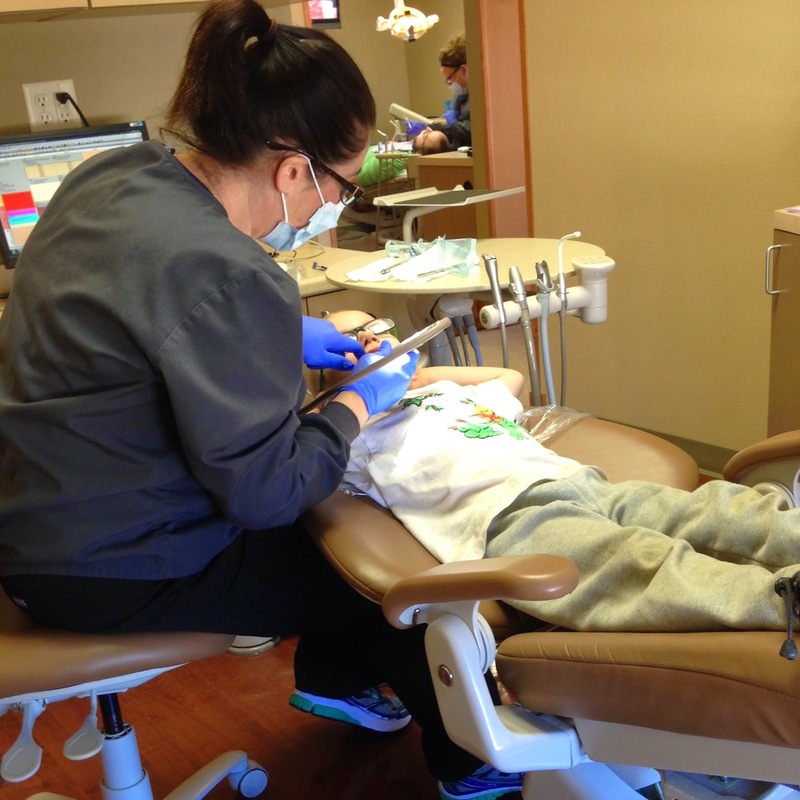 I must be doing something right, or the dentist must be doing something right, because Henry LOVES going to the dentist. When I picked him up from preschool to go to his check up, he sprinted around telling everyone he could that he gets to go to the dentist and they have an awesome prize box. We don't even go to one of those specialized pediatric dentists, he just goes where I go, and the little prize box trinket (this visit it was a sticky frog) and new toothbrush he gets when he leaves makes it one of the most amazing place in the world in his mind! We're moving MONDAY! Holy moly! It's finally here! I've been packing everything in sight. I can. not. wait! The weather is turning beautiful! We were able to get out and go to the park, and it was fabulous, though the walk to the park and back wore this preggo mama out! Many mornings the boys snuggle in our bed while we get ready. Henry definitely knew they were being cute one morning this week because he asked if I would take a picture. Love these boys!